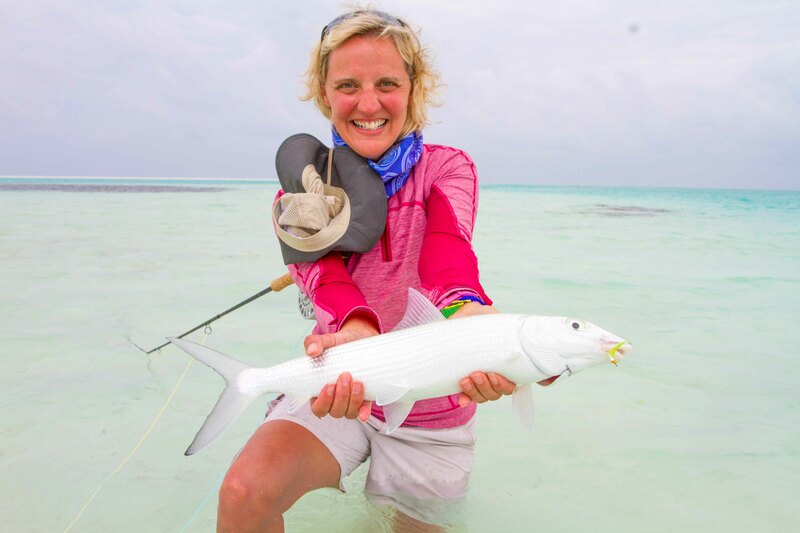 Fly fishing at Alphonse Island was exciting as the wind shifted strongly this week to north-east along with neap tides that brought a variety of rare occurrences and catches. 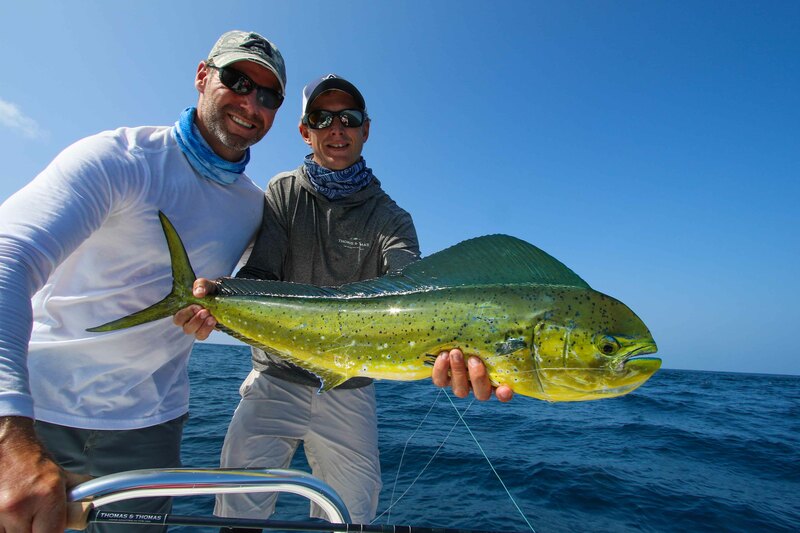 Lingering marine debris, FADS and Portuguese Man o’ War fish were all part of the excitement but most notably, dorado were caught in good numbers. 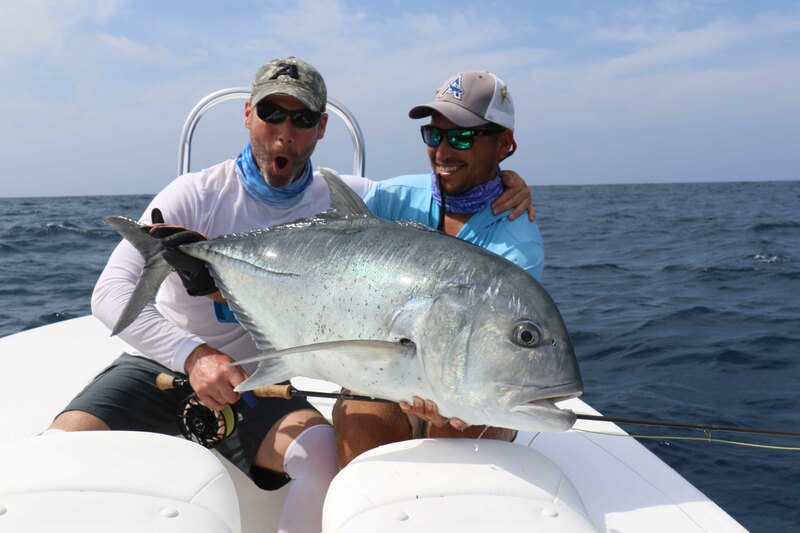 Christian Kitchell and Lea Stendahl continued to produce on their second week with another “Flats Slam” consisting of a 95cm Giant Trevaly, moustache triggerfish, bonefish and a bonus dorado. 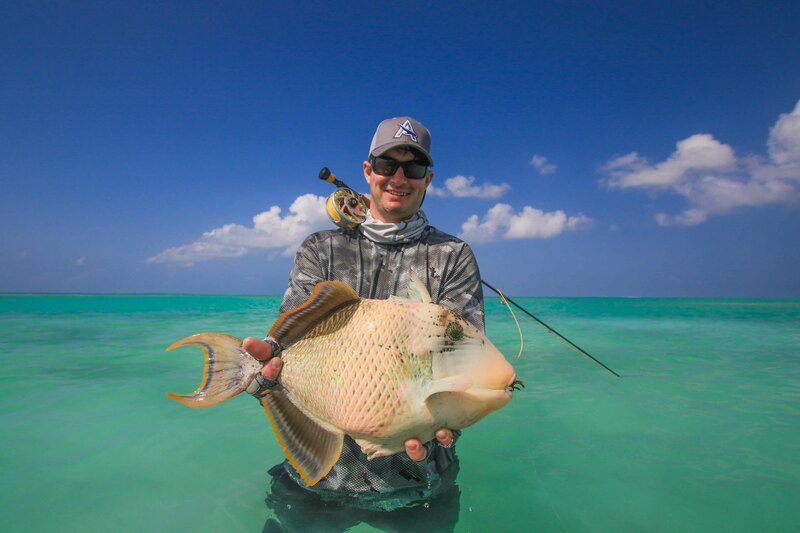 Joining in on the trophy species was Kenneth Teague who managed a slightly different “Flats Slam” varied by a yellow margin triggerfish, while earlier in the week he also landed a super model 67cm permit. 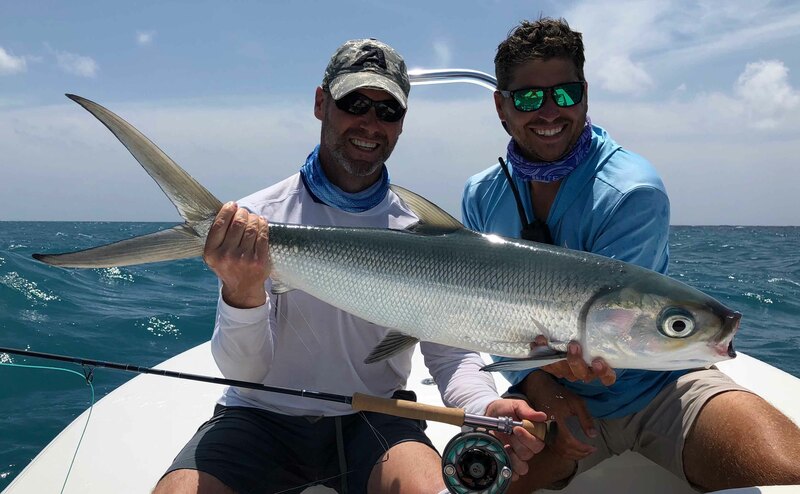 Father and son team Alexey and Fedor Marchenkov boated two sailfish and later that same day, each caught bonefish to make for a “Double Bills & Bones Slam”. 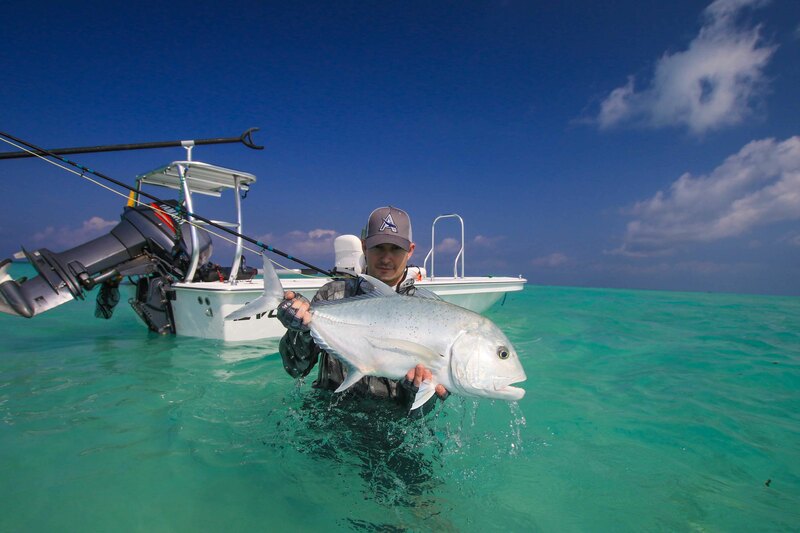 During their pursuit, Fedor tamed a 68cm Bluefin Trevally. 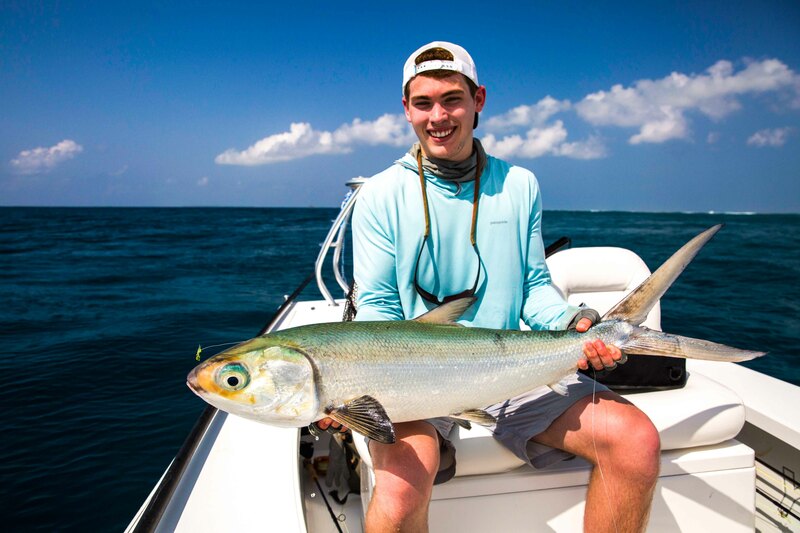 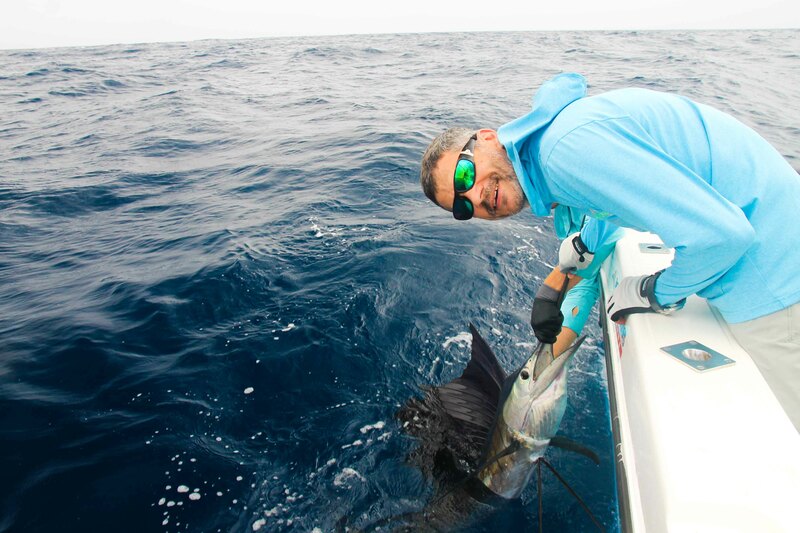 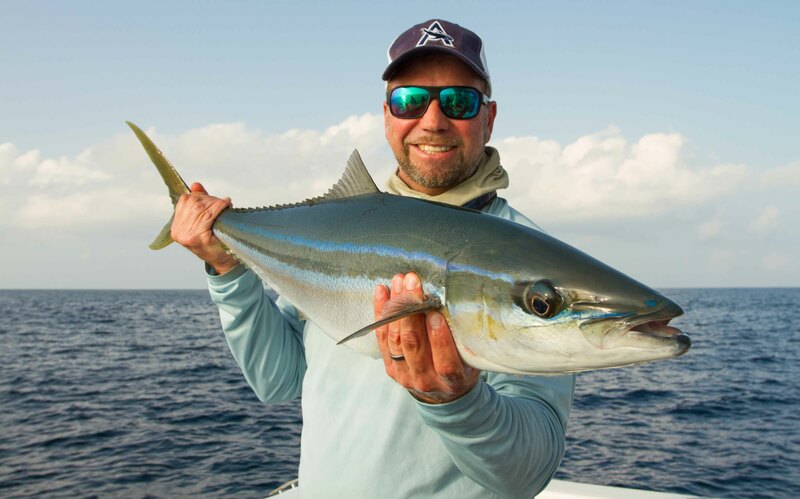 Other notable catches were accomplished by Thomas Stoddard with a 111cm GT fed and fought on Milky Way’s finger flats as well as Jakesy Hall who during the course of the week, bagged two GT and two Milkfish. 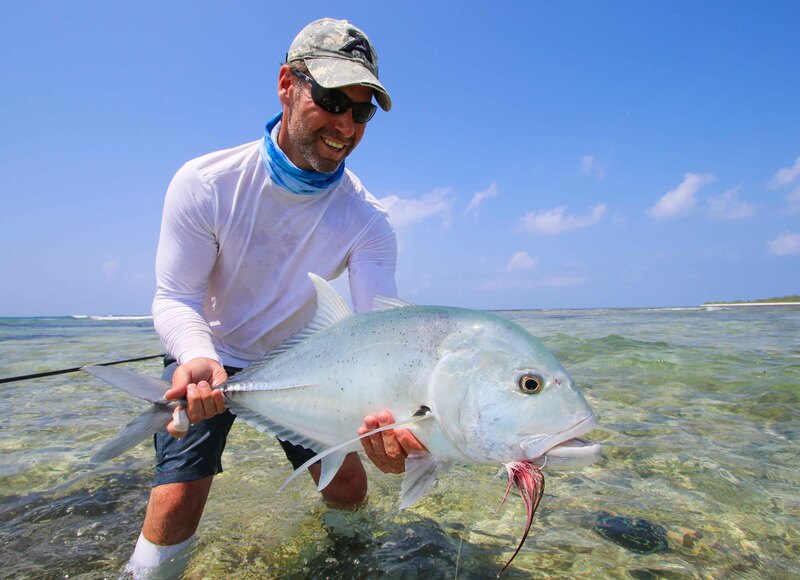 Fly fishing Milkfish is incredibly exciting. 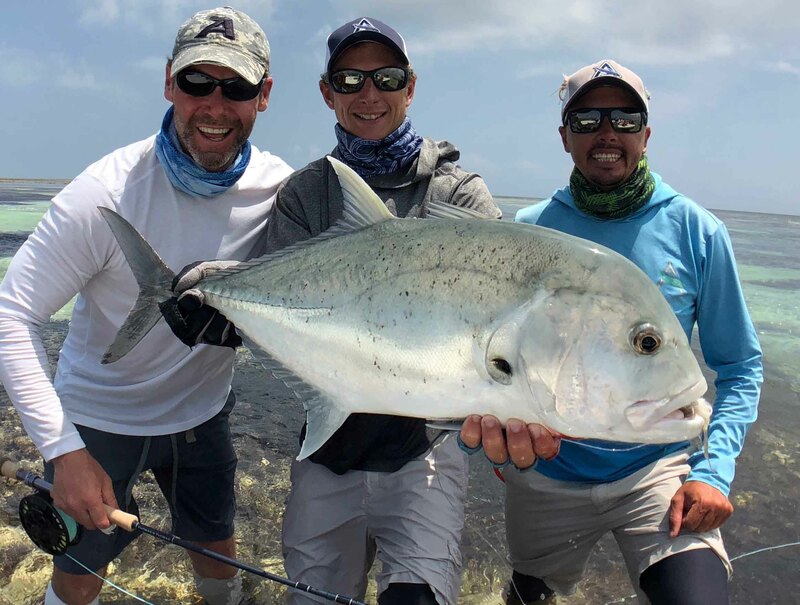 All anglers skillfully responded to the challenging conditions of the week and manifested yet another impressive catch return. 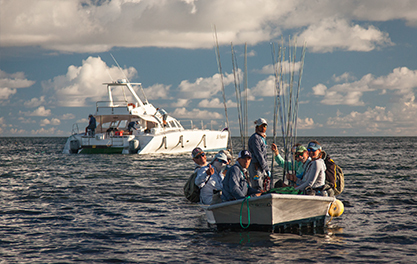 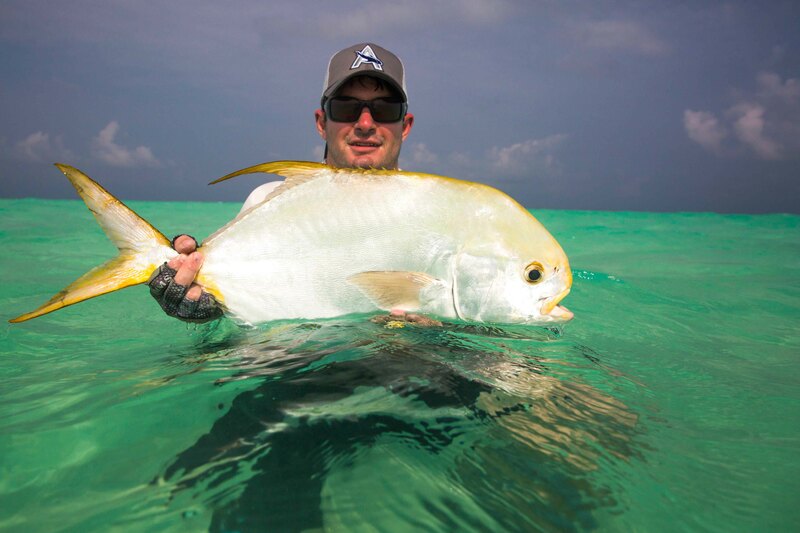 Tight Lines from the Alphonse Fishing Company Team.